Dorothea B. 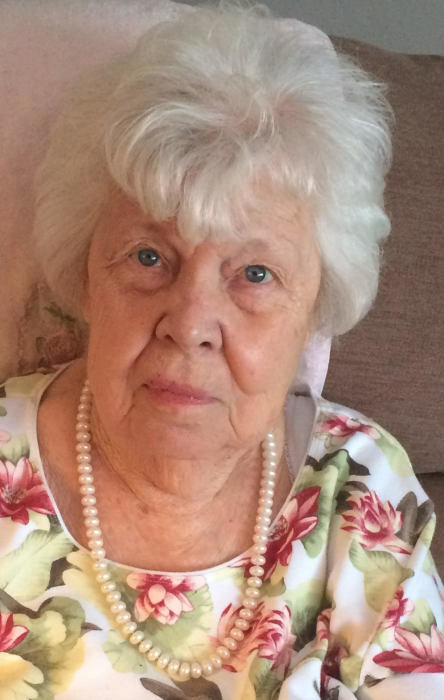 (Carstens) Hagen of Princeton went to be with her Lord on Sunday, January 20, 2019 at her home. Dorothea was born the oldest of five daughters to Reimer and Hazel Mae (Bunch) Carstens on August 11, 1926 in Garfield, WA. Growing up in Princeton, a place she always called “home”, she attended a one room elementary school known as Chambers Flat School and later graduating from Potlatch High. She moved to Lewiston to attend the Idaho Beauty College, and following her graduation worked as a cosmetologist at The Classic Beauty Salon on Third Street in Moscow. Dorothea was a member of the Moscow Church of the Nazarene until she returned to Princeton where she attended the Princeton Nazarene Church. She was a member of the Avon Busy Bees in Avon and the Princeton Quilt Group. She loved embroidering, gardening, quilting and cooking. If you ask her grandkids, she made the best cookies and homemade bread ever. Her homemade bread was served at every meal. Dorothea is survived by her son Dan (Barb) Hagen of Deary and daughter, Marcia (Mike) Stayton of Avon. Five grandchildren, Reimer Hagen, Amy (Rob) Clemenhagen, Gabe (Andrea) Stayton, Ellie (Derek) Korth and Pete (Rimi Kim) Stayton, 14 great grandchildren and numerous nieces and nephews and many amazing friends. In addition to her parents, she was preceded in death by her husband of 52 years, Everett, in 2002, her step-mother, Margaret Carstens, and her sisters, Lula Mae Hunt, Virginia Crumley, Ruth Smith Arstil and Norma Jo Shindler. The funeral service will be held at 1:00 P.M. Thursday, January 24, 2019 at Short’s Funeral Chapel. Hospice Chaplain Paul Barber will officiate and burial will follow at the Avon Cemetery. A potluck reception and time of remembering will be at the Princeton Community Center beginning at 3:30 P.M. The family suggests memorials be made to the Potlatch Senior Meal site, the Potlatch Boy Scout Troop or to the Princeton Community Center. Arrangements have been entrusted to Short’s Funeral Chapel, Moscow, and online condolences may be sent to www.shortsfuneralchapel.net.